The Battle of Sullivan’s Island engulfed Charles Town and all of South Carolina in June 1776. 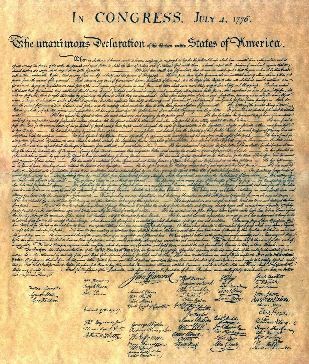 The dramatic climax occurred June 28, less than a week before the Declaration of Independence was proclaimed on July 4, 1776. Tensions between the British government and its American colonies had been growing for years. Many colonists objected to increasingly severe taxes and restrictions imposed by the British. These American patriots wanted to govern themselves. Other colonists were content to remain under British rule. These loyalists supported the British government and many of them fought on the British side. In 1775, patriots seized control of each of the thirteen colonial governments and armed rebellion began in Massachusetts. The outcome of the first year’s battles in the northern colonies was inconclusive. In the south, patriots had beaten loyalist forces in the battles of Great Bridge in Virginia and the Rice Boats in Georgia, but they had not faced the mighty British army or navy in a major battle. In preparation for a southern campaign to mobilize loyalists and reassert British authority, a large force of British soldiers and sailors from England, Ireland and the northern colonies were ordered to gather at Cape Fear, off the North Carolina coast. On February 17, 1776 – before the British forces arrived – patriots won an important land battle against loyalists at Moore’s Creek in North Carolina. Without loyalist support in North Carolina, the fleet soon headed to Charles Town expecting to win a clear victory and reestablish the Crown’s presence in South Carolina. They were in for a major surprise. Why did the British target Charles Town? South Carolina was one of the richest British colonies. The capital, Charles Town, was the largest city in the south and the fourth largest in America with a population of about 12,000. 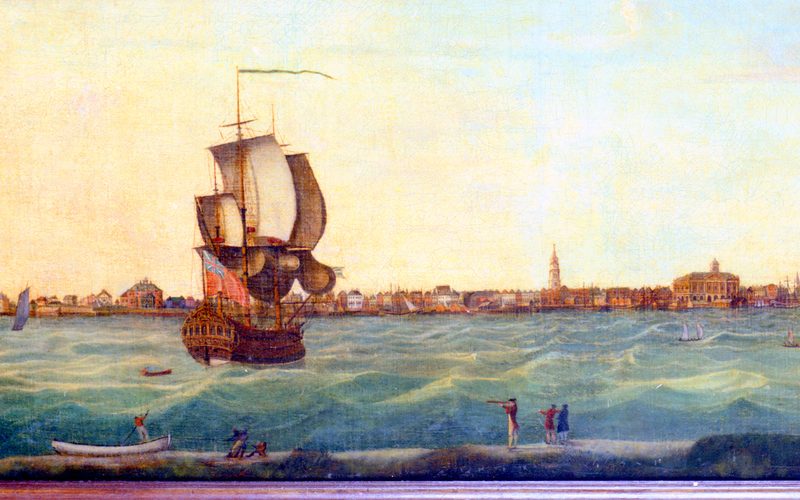 Charles Town was the seat of commerce in the southern colonies, and the busy seaport was vital to trade. American patriots took charge in 1775, overthrowing British rule and forcing the British Royal Governor to leave the city. Regaining control of Charles Town was essential for the British to restore authority in the south. They believed strong loyalist sentiment would help quell the rebellion after British authority was re-established in the capital city. Their immediate military objective was to occupy Sullivan’s Island as a base of operations to secure the port and eventually retake the city. Good summary. Perhaps it may be beneficial to mention more about the divided loyalties in the south (i.e. 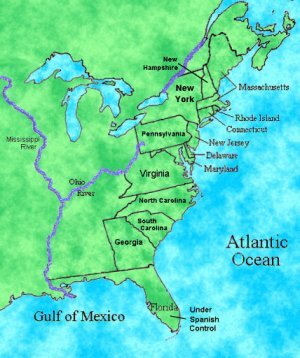 lowcountry, SC and backcountry, SC) and the “supposed” abundance of loyalists support and how that played into the British decision to turn southward. This may also help to highlight the complex nature of the war in the south and how difficult it was for both patriots and loyalists to “win” a battle. It’s hard to know how much background is needed to put the Breach Inlet action in context. I added a statement that the British believed loyalist sentiment in the Carolinas would help quell the rebellion after British authority was reestablished in Charleston. I agree with Kristen Adams. Although, having recently researched a good bit on the loyalist side, I realize that the abundance of loyalist support has been downplayed (history being written by the victors, of course). I know there is limited space, but I’d love to see a sentence on the brother-against-brother and neighbor-against-neighbor aspect of the war, which played out in every colony. Backcountry loyalists captured during the Snow Campaign were brought to the island in early February to work on “a battery six miles from town, on Sullivan’s Island, at the mouth of the harbour.” I’m trying to confirm exactly which battery it was. The distance indicates to me that it may be Thomson. Any ideas? I’m also wondering if runaway slaves, encouraged by the British to come to the island, were put to work here as well. This is a great project you’ve started, and I can’t wait to see the end result! The loyalist prisoners must have been working on Fort Sullivan. Work there began in January 1776. Work on the redoubt at the Breach began in late May or early June. I just checked a 1780 map – Ft Sullivan was about six miles from the Charles Town peninsula. Doug: This is a great site—I didn’t know it existed until last week when a good friend told me she was going to the celebration last weekend. Anyway…the notes indicate a June, 1776 British hope to occupy Sullivan’s Island and use it as a “base of operations” from which they further hoped to control movement in and out of Charleston Harbor and eventually “re-take the city.” Given Clinton’s sense of urgency per Howe’s orders for him to return to the northern theatre in time for the summer campaign and, given that his sense of urgency owed, to some degree, to the fact that he was in Howe’s doghouse, how much time and effort was Clinton willing to expend per establishing such a “base” on Sullivan’s Island? Thanks! General Clinton did not seem willing to devote any additional time or effort. His tentative actions in this battle certainly appear influenced by his orders to return north for the summer campaign, without suffering “manifest sacrifice”. He stated that he preferred an attack in the Chesapeake Bay and hesitantly went along with Commodore Parker’s preference for Sullivan’s Island. He wrote that after the disastrous battle, “Nothing, therefore, was now left for us to do but to lament that the blood of brave and gallant men had been so fruitlessly spilt, and prepare for re-embarking as soon as possible.” He left Long Island July 5th and sailed north within two weeks, ahead of his troops. I recently moved to the area and was looking for a place to sketch for a future painting. After stumbling on those wonderful signs last week, I decided today, July 4 and Independence Day, was a good day to do some internet research. I am thrilled I found your wonderful website. I am loving all this dialogue! Charleston is a great place to paint and learn history at the same time. I normally stand to sketch , but those delightful benches made it more comfortable. You can Google my name to see my paintings.